«Breading cats hype, like or dislike it? Each year in spring-time, the kitten season kicks in. 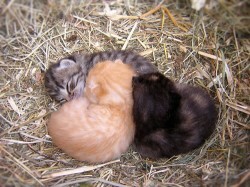 Pregnant cats give birth to litters of new born kittens all over the world. And cats can become pregnant within their first year of life, so last year’s kitten can be this year’s mom. This is usually the time that animal shelters are flooded with furry new born kitties, the one story even more tragic than the other. But its important that they are brought in or at least be raised up to an age at which they can be neutered. There is still a large cat excess in the world, caused by people that get a cat but don’t neuter it. Or even worse, when the cat gets pregnant, the kittens are sometimes dumped outside. Young kittens can not survive without their mom and will surely die on their own. Shelters face difficult times, as they usually have limited space available or not enough people adopting kittens. There is always a need for guest-families. Guest-families take in young kittens that are without mother and help raise them to a healthy age after which they can be adopted (about 8 to 10 weeks old). Sometimes the kitten can stay with the family until it is adopted, even if that takes a few months. Almost all shelters are looking for guest-families, so if you would like to help, this would be a good place to start. 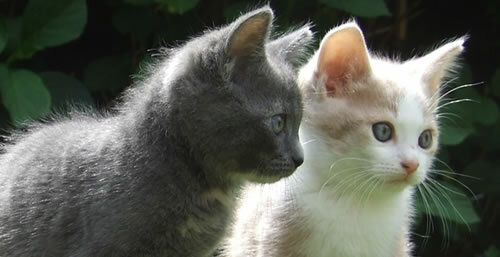 E-mail or call a shelter near you and you can help those young kittens get a good start in life. A kitten is the cutest creature in the world, but know that a cat can give birth to between 5 and 8 kittens (depending on the health and breed of the cat) and that those kittens will become young-adult cats within a year. So be smart, and neuter your cat and if you want kittens, know that there is always an excess of kittens that are looking for a happy home!